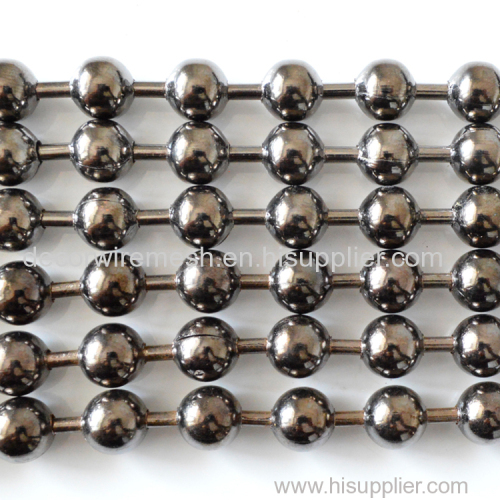 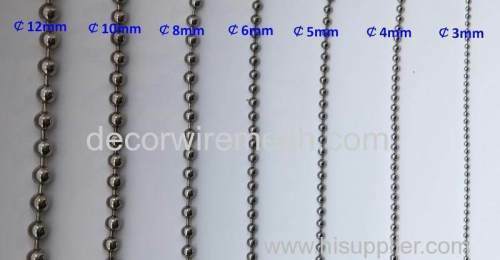 the bead size is ranged rrom 3mm to 12mm . 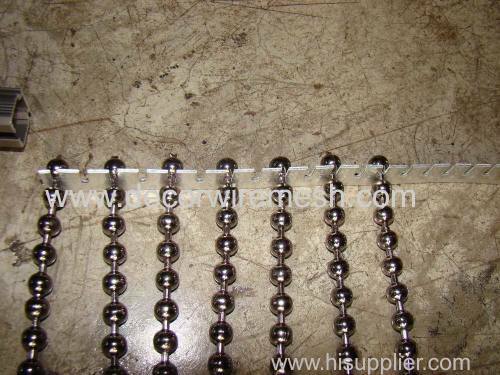 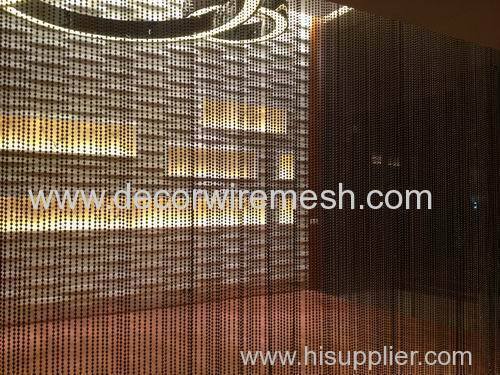 if use outside , stainless steel material is needed . 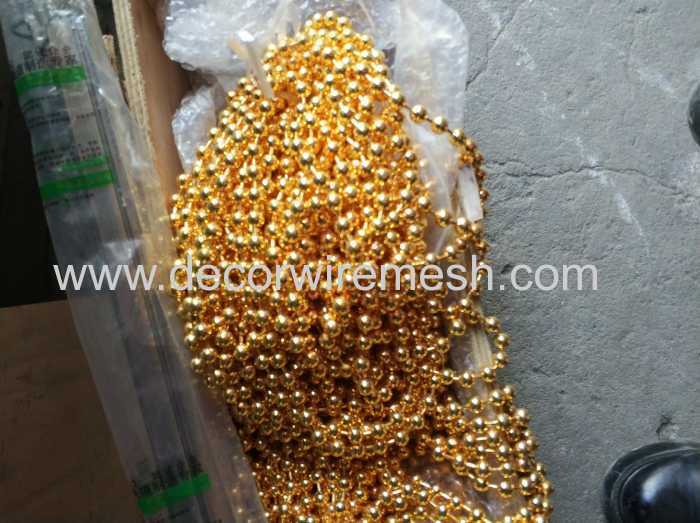 meanwhile , we also have brass material , but the price is something high . 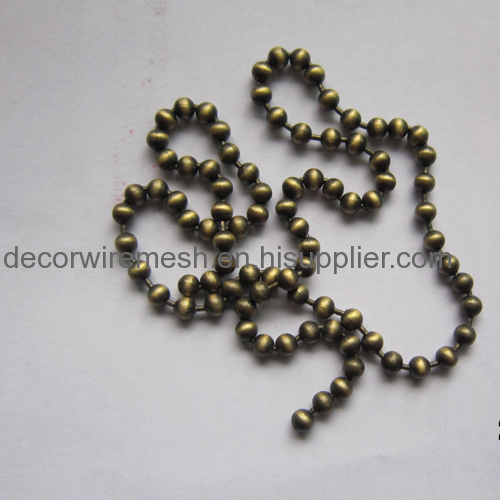 any color are available , the normal used color is silver , cooper ,brass , brush bronze ,gun metal black , golden , blue ,ect .if you did not find the color you like , you can also send us your color sample , customzie is available . 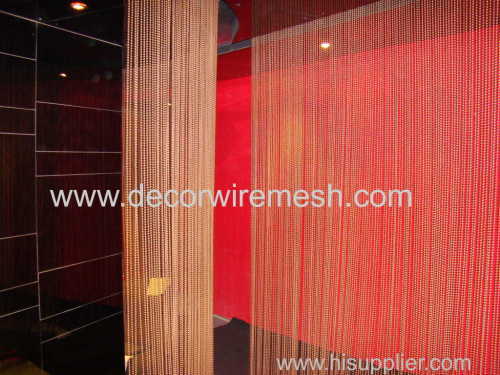 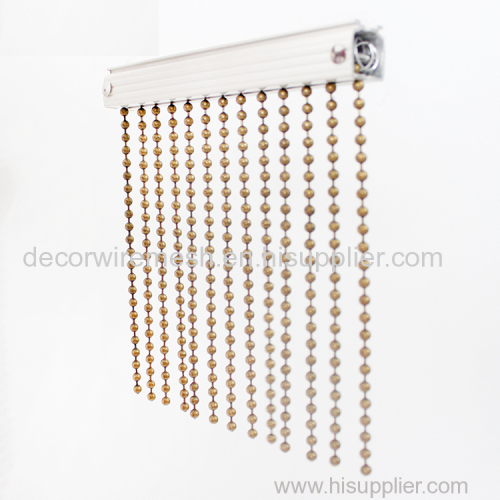 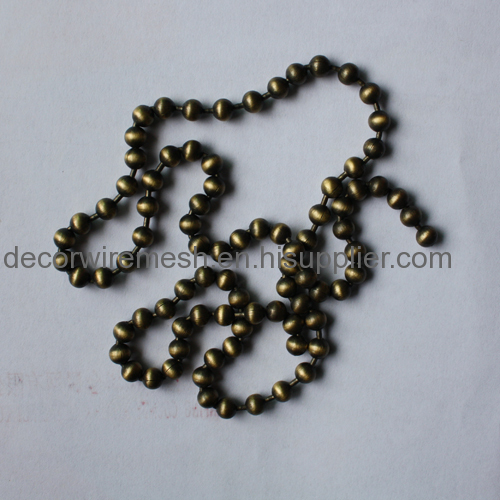 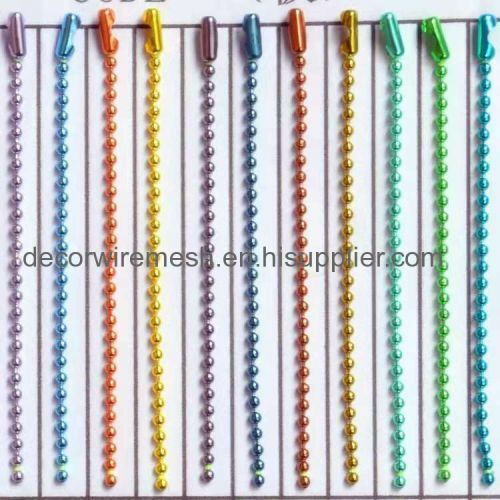 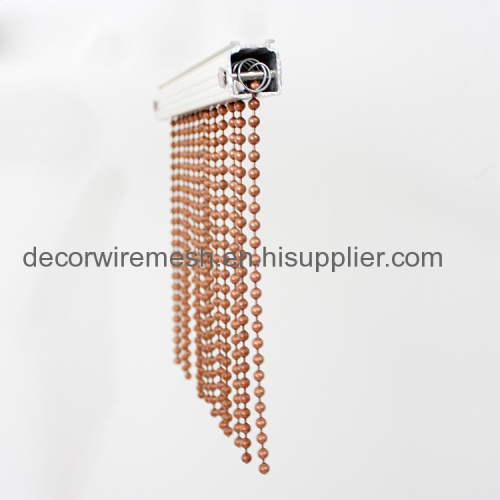 As you have seen , this colorful metal bead chain is made by many strands , usually we will provide grooves to confirm the spacing . 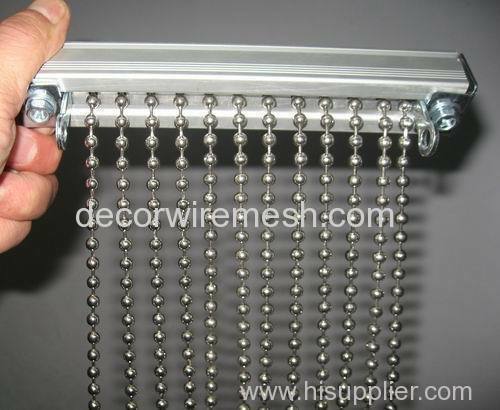 and then put into a track fix with the ceiling . 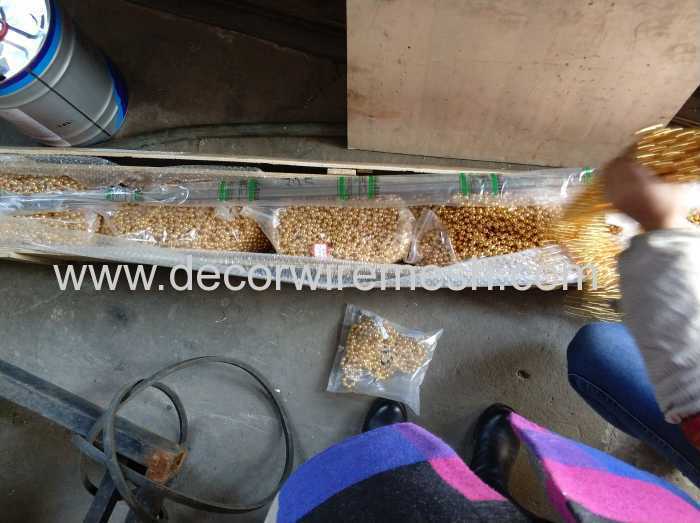 Usually we pack 100m per bag , 5000m per carton , and then wood case .